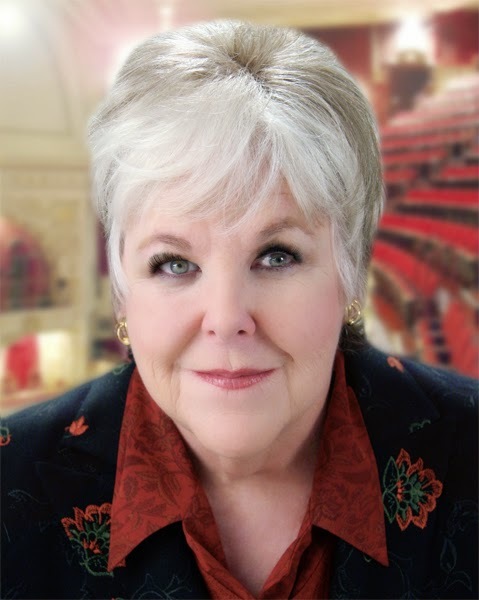 Everybody's favorite character actress/singer/ comedienne from stage, TV and film Mary Jo Catlett will appear in S.T.A.G.E on May 9 at 7: 30 pm at the Saban Theatre in Beverly Hills. This year's show is entitled To Broadway from Hollywood...with Love. What are you doing in the show this year? I'm singing a Doris Day song "It's Magic". How many shows have you done? Have you been with S.T.A.G.E. since its initiation? Yes, I've been with S.T.A.G.E. from the start but missed a few along the way. Talk a bit about David Galligan and how it is to work with him. You keep coming back, so he must be doing something right. David and I don't always agree with the concept but the end result is worth it. He is one of my best friends. Do you have a favorite show from the past? Which one? It's kind of a draw between the "high" lady ("Smokin Reefer") and those wild and crazy Nuns. Oh, yes! I loved those nuns. Have you been doing your one-woman show as of late? Would love to see it here. Nope. It's sort of in limbo. Well, I hope you resurrect it. Is there a stage role that you performed that remains a favorite? Many. I'd love especially to resurrect Something's Afoot. I also loved playing Ms. Tweed. (original) and also Mama Rose, but too long in the tooth now. Any role you would love to play that you haven't? Every actor has one or two of these; some passed me by. I would love to have played Winnifred in Once Upon a Mattress; or mine would be Lady M in the Scottish play in an all Senior production...fun, hum? How old would Polonius have to be?? We'd wheel him behind the curtain! Funny stuff! For you, what is the greatest highlight of doing a S.T.A.G.E. show? I really love being a part of this show and laughing with Carole Cook and seeing Patricia Morison and the glorious Dale Kristien. I really think PBS is missing a bet in not televising it. It would also make a great documentary for an enterprising young film maker. Don't miss the deliciously warm and amusing Mary Jo Catlett and a bevy of other celebrities including Greg Louganis in this year's S.T.A.G.E. on May 9 at the Saban Theatre! Louganis will take part in an extraordinary presentation of original costumes featured in classic Broadway productions. Acclaimed actress Susan Claassen, whose one-woman show “A Conversation with Edith Head” has won awards across the country, will narrate the costume cavalcade in character. Joining Louganis will be his husband Johnny Chaillot-Louganis, Broadway veterans Haviland Stillwell (“Les Miserable,” “Fiddler on the Roof”) and Craig Ramsay (“Mama Mia!,” “Bounce”) and his celebrity hairstylist/TV personality husband Brandon Liberati, TV stars Noah Bean (“12 Monkeys”), Lyndsy Fonseca (“Nikita”) and others. Florence Henderson will perform a Dan Mojica number in a tribute to the late choreographer, as well. Stars of cinema, Broadway and television scheduled to also appear in the concert include: Obba Babatunde, Adrienne Baron, Susanne Blakeslee, Carole Cook, James Darren, Nancy Dussault, David Engel, Julie Garnye, Thea Gill, Jason Graae, Bill A. Jones, Sally Kellerman, Jon Maher, James C. Mulligan, Patricia Morison, Robert Morse, Scott Nevins, Kevin Odekirk, Jake Simpson, Sally Struthers, Donna Theodore, Leah Thompson, Lisa Vroman and Adam Wylie. Begun in 1984, STAGE is the longest-running annual HIV/AIDS fundraiser in the world. To date, STAGE has raised more than $5 million for HIV/AIDS organizations in the Southland. David Galligan has directed every production of STAGE and returns this year for the 31st time. Brad Ellis will make his first appearance as Musical Director.